Join us each week for meaningful prayer and warm community. 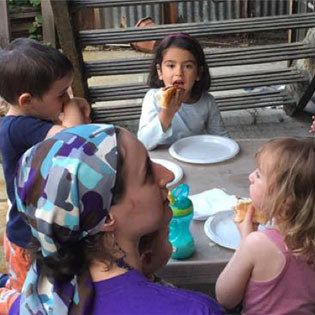 Our weekly program for the very youngest members of the community (ages 0-4) includes songs, activities related to the weekly parsha, and kids' kiddush. Check the weekly newsletter or the calendar for detailed information about upcoming holiday davening. In an effort to make our davening run as smoothly as possible, the gabbaim have decided to use notecards with people’s Aliya/MiSheberach information. Click the button below to fill out a quick form.